Dan and I like to save up our change in a penny bank and cash all of it in for Amazon credit. It lets us buy special treats for one another. Today, we both got treats in the mail. 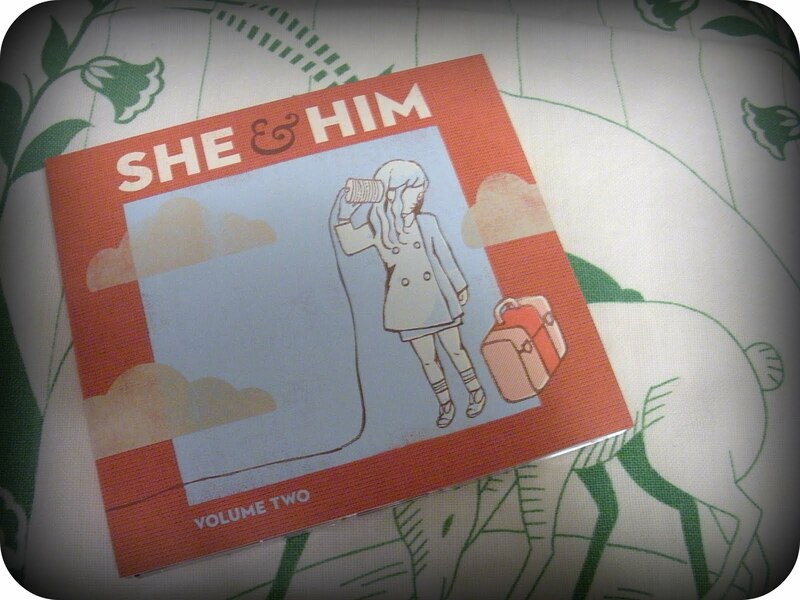 The UPS man surprised me with the new She & Him. Bono loved telling the UPS man "what up." Dan's treat was a Richard Hugo chapbook from 1978. 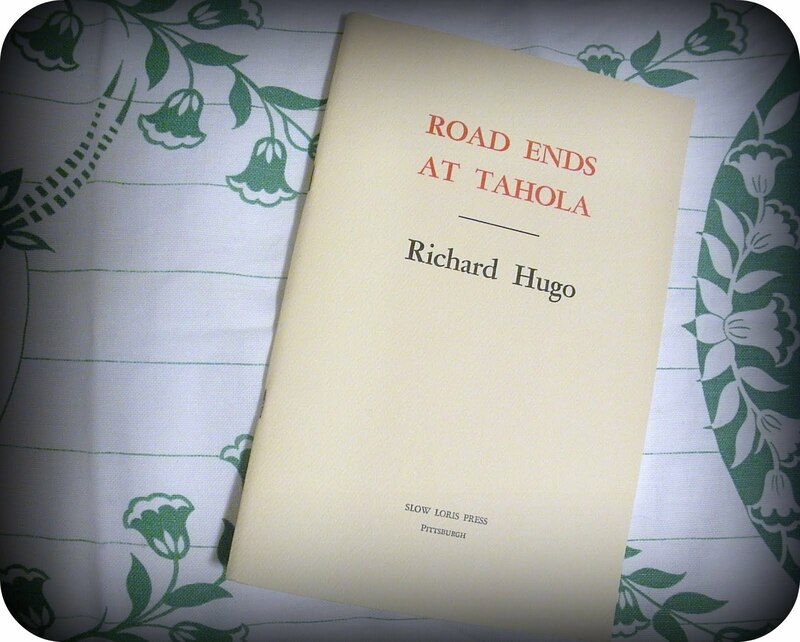 Here is poem by Hugo about one of the places we visited last week. Throw sand dollars and they sail alive. and we call the bourbon in us wind. light was locked in horizoned hunger. of sea perch in our palms. let a tickle say a beach is bleeding. of all cats in the world stampeding. p.s. I am getting better and want to thank you for your kind comments. I'm hoping to be 100% tomorrow. I'm so behind with everything and I would much rather hear about what you have been up to. Today I'm supposed to be preparing a talk for Sunday. We went to Tyler's open house last night. I need to get a b-day gift for one of my visiting teachees(and I need to visit another one). My car is on empty so I need to head to Costco. I'm not sure what we're eating for dinner tonight. I think I need to go to the grocery store. I have to sew Tyler's bobcat patch on his cub scout shirt. Lots of laundry. Clean the kitchen from last night. But here I sit at the computer instead. This is more fun. It's so nice of Bono to always say "what up" to the UPS guy.